The world tells us that we just need more self-esteem to take on all the challenges in front of us. You know what I'm saying? Just find more security in yourself and then you will have the strength to take on what is in front of you. But if this concept is true, than turning towards grace is what we need, not more self reliance - right? What a great quote...and so very true. We need to esteem Jesus and receive His grace. Thank you very much for sharing this - and for linking up! So glad you hosted a great link up! Thank you for sharing this beautiful quote with us at Inspire Me Monday! I'm very honored that you enjoyed this quote so much to feature it. 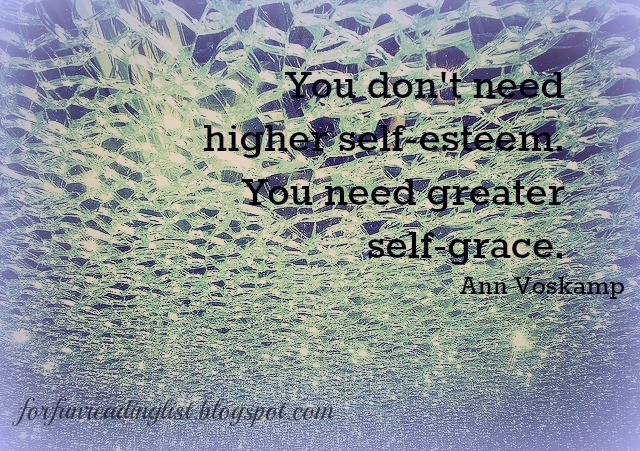 The funny thing is that with higher self grace our self esteem will invariably go up! :) Thanks for linking up this week Marissa! Absolutely! Sometimes we need more grace to realize we *can't* do it all!